On Monday and Tuesday evening next week, Annual Town Meeting will convene at the Middle School and we will be presenting the WPS budget for FY 2020. Earlier this week I provided an update to staff on the status of our budget and noted that our proposed 3.65 percent increase was reduced by the Board of Selectmen to a 3.5 percent increase, a cut of approximately $154,000. If we must make that adjustment, the District would not move forward with the proposed Director of Libraries and Innovation, as well as the full online subscription to the math enrichment tool, Dreambox. However, we are hoping that if there is a surplus in the District’s Circuit Breaker funds at the end of the year, we may be able to forego making these additional cuts to our budget. I will certainly keep you updated on what happens next week. Thank you for all that you do for our students and enjoy our first weekend of spring! Apologies to Holly Holmes, whose name was inadvertently left off the Superintendent’s Bulletin last week when naming the WEF 25 Year Chair honorees. Holly has held a variety of positions in the Wellesley Public Schools, mostly at Bates, including Elementary building assistant, teaching assistant in a classroom, and Special Education elementary floating assistant throughout all 6 elementary schools. In 2003, she became the Instructional Library Assistant at Bates and in 2013, she moved from Bates to Hunnewell, where she continues to work in this capacity. 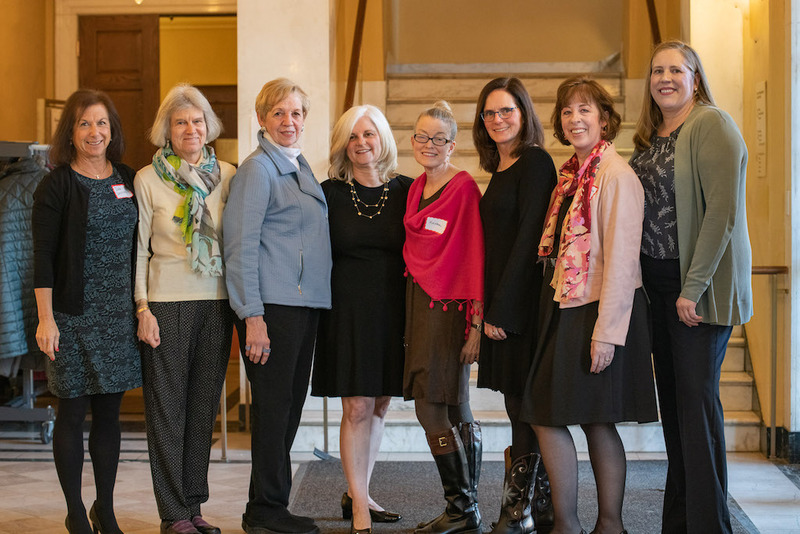 Honorees from left to right: Debi Levine, Holly Holmes, MaryAnne MacDonald, Ilene Sharpe, Kirsten Blackwill, Jayne Byrne, Kathleen Derian, Jen MacPherson. Honorees missing from photo: Jenny Leung and Kristen Snyder. Condolences to the following Sprague staff members: Jackie Decker (Gr 3 Teaching Assistant) on the loss of her grandmother, Kathleen Rooney, on March 15th; Emma McLean (Kindergarten Teacher) on the loss of her aunt, Carole Mastendino, on March 18, 2019; and to Joanna Doyle (Gr 5 Teacher) on the loss of her mother, Ann Marie Russo, on March 21, 2019.